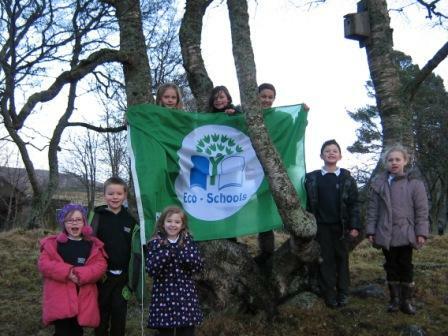 Tarfside Primary School is very Eco friendly. We are very proud of our THIRD Green Flag! 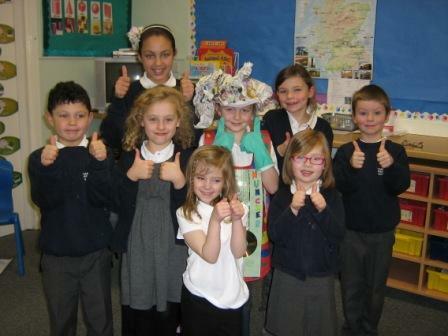 Our Eco Committee meet once a term to organise events. Everyone has an eco job to do around the school. 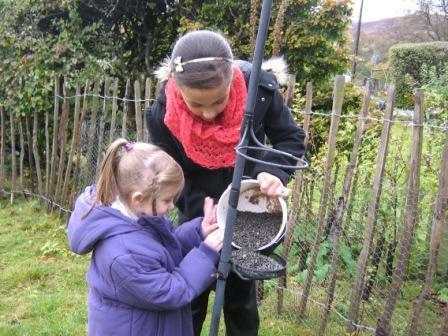 These include recycling, bird feeding and energy monitoring. We collect our food waste and put it in our compost bins. 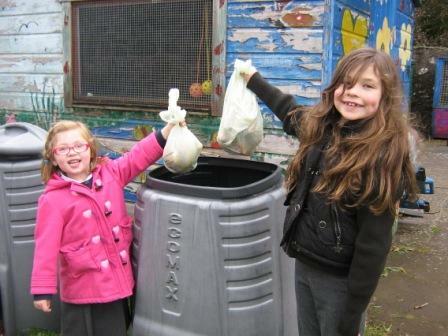 We use the compost which we have made over the last few years in our school gardens. In November 2012 we invited parents and the community to our school. We used presentations and a short musical called 'The Litter Muncher' to share our learning. Every year we take part in a national litter pick. In 2011 we were very surprised with how much litter we found. 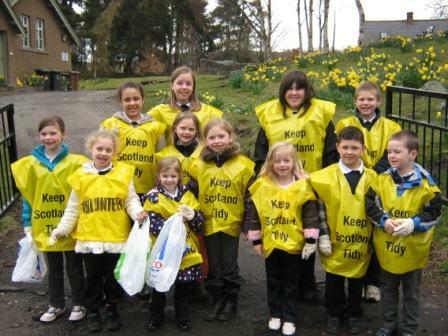 In 2012 we were pleased to find much less litter. 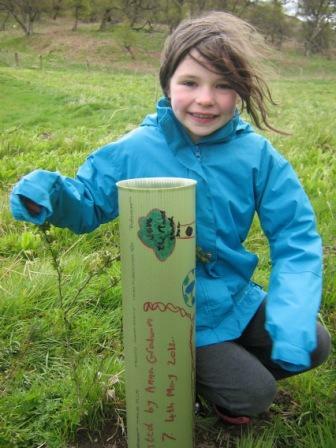 In May 2012 we all planted chestnut trees at Auchmull Estate in Glenesk. It was a very cold day! We hope to watch our trees grow throughout our lives.